Some of my friends questioned the main contention of my previous post on Swami Vivekananda - they felt that I tried to give an impression that introducing Hinduism and Indian philosophy to general population abroad is Swamiji’s chief legacy. In fact I tried to highlight just one aspect of his enduring legacy as a pioneer of Indian soft power ascendancy in the West. Within India I feel there are two important legacies of Swami Vivekananda – a proud nationalism more in a cultural sense than political and the legacy of service. Two separate organizations – Sangh Parivar and Ramakrishna Mission, respectively, have emerged as the primary torch-bearers for these two distinct legacies. It is important to remember that if one goes by his writings and recorded speeches, Swami Vivekananda was not always consistent in terms of his views and at times was even self-contradictory. Today therefore when we look at his legacy we must remember that this is how he has been interpreted by different people and organizations, which in turn led to continuation of these legacies. In 1963, while Ramakrishna Mission made acquisition of Vivekananda’s ancestral house the chief focus of their centenary celebration, RSS decided to build a national memorial and a nation-wide movement around it. Ramakrishna Mission’s project eventually was completed almost four decades later following a protracted legal battle. On the other hand, RSS Chief Golwalkar appointed Eknath Ranade, an energetic former Secretary General of RSS to spearhead this project. Before talking about Ranade’s spectacular success, let me go back to Guru Golwalkar – in his youth he joined Ramakrishna Mission and took diksha from Swami Akhandananda, a direct disciple of Ramakrishna and a pioneer of service in the Mission. 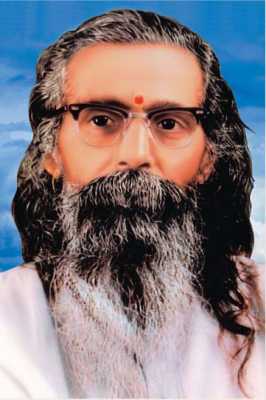 Golwalkar went back to RSS after Akhandananda’s death – reportedly following his guru’s last wishes. Though founded by Hedgewar, who took inspiration from Savarkar and Maharastrian variety of Hindu nationalism (Hedgewar himself studied medicine in Calcutta between 1910-14 and admired Aurobindo Ghosh and Bankim Chandra), it was Golwalkar who defined the RSS philosophy for successive generations in his book – We or Our Nationhood Defined. Perhaps it was his short stay at Ramakrishna Mission with Swami Akhandananda, which prompted Golwalkar to introduce the concept of service in RSS fold. 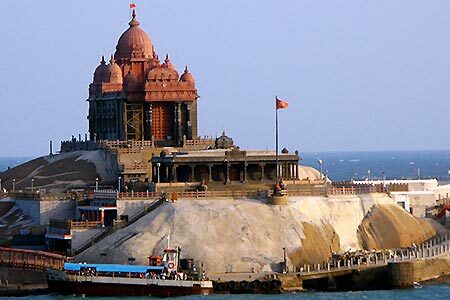 After deciding on the site for Vivekananda Memorial at Kanyakumari, where Swamiji meditated for three days before leaving for Chicago, Ranade started building a full-fledged movement to collect necessary resources. He enlisted the support of a large number of politicians cutting across party lines; collected money from more than 30 lakh ordinary citizens by distributing Vivekananda’s posters/folders and even army units contributed for the project. It took four years to build the now famous monument at the southern tip of the country. Once it was done, the focus shifted to building of an organization – Vivekananda Kendras. This was to be the service affiliate of RSS, focusing on its twin objectives – man-making and nation-building. In half a century since then this organization – formally a special affiliate of RSS – has grown into one of the largest socio-cultural organizations in the country. Today it has 234 branches and runs a large number of schools, medical camps, and cultural organizations across the country with millions of people directly associated with it. It tries to reach out through soft cultural or social messages to marginal population or those who are not enamoured by open right-wing political campaigning. Other Sangh parivar outfits, particularly ABVP, routinely project Vivekananda as a youth icon. Vivekananda was responsible for instilling a great degree of pride in our (mainly Hindu) heritage and that way it may not be out of place to hail him as a nationalist icon. But the crucial difference is in approach – Sangh Parivar’s nationalist agenda is exclusionary whereas his was always inclusionary. 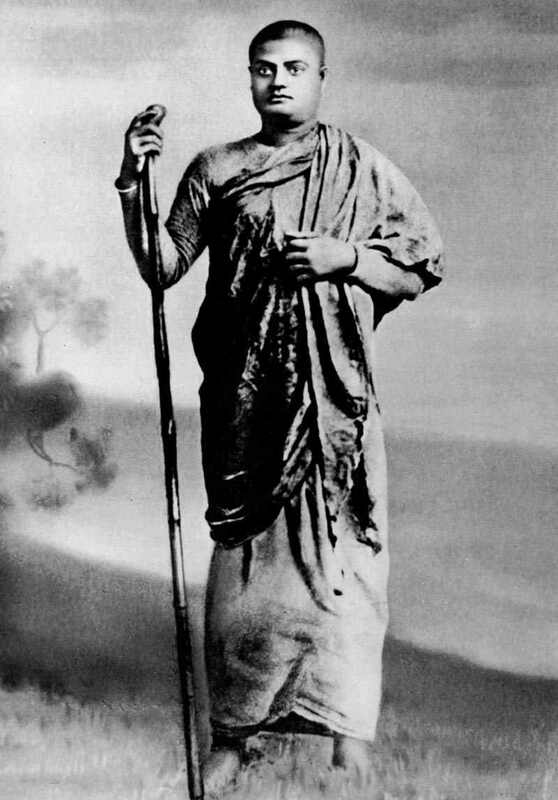 Between 1890 and 1893, Swami Vivekananda travelled through a large part of India, mostly on foot and begging for food, not always successfully. Before this, from 1887 to 1890, he was trying to establish Ramakrishna Math with his brother monks braving crushing poverty. This tryst with poverty and real India opened his eyes in a way unseen in case of other great Indians of 19th and early 20th century. His experience of widespread starvation, illiteracy and resultant backwardness forced him to adopt seva (service to humanity) as sadhana instead of sticking only to religious activities. He was continuously writing to his brother monks to emphasize that a person has to be first provided food, educated and then only he would be in a position to appreciate his own spirituality. It is also important to remember that in his lifetime service was hardly the central theme of the Mission and even his attitude to service was at times ambivalent. Over the years, Ramakrishna Math and Mission has evolved into India’s premier humanitarian agency, providing healthcare, education and other facilities not only in towns and villages but also in remotest parts of the country from Arunachal to insurgency-affected areas of central India. It is also a pioneer in disaster relief – a service, through which the likes of Akhandananda, initiated the Math and Mission’s commitment to daridra-narayan-seva. Ramakrishna Mission does run programmes focusing on Vedanta, cultural heritage and other themes. In the USA, it mainly focuses on such activities. But today the main focus of the organization, which is the living embodiment of Vivekananda’s visions, is on managing and perfecting a complex web of service it offers across a vast geography of the subcontinent, including Bangladesh. Though RSS and its affiliates have appropriated and in a sense expanded Vivekananda’s legacy of proud nationalism, it incorporated service also in its agenda, mainly through Vivekananda Kendras. On the other hand, within India, over the years, service has become prime focus of Ramakrishna Mission though it continues to work on his legacy of cultural nationalism/projection of Indian spirituality both in India and abroad.